School Inequality: Challenges and Solutions. 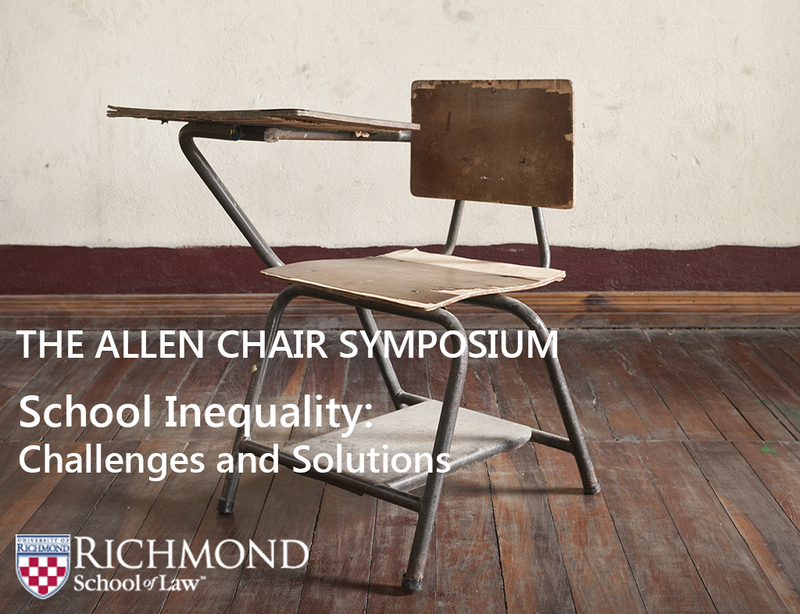 The Symposium brought together the nation’s leading education policy scholars to identify the critical inequality issues affecting public schools, and offer ways to address them. * You can view speaker bios by clicking on the name of the speaker below. 9:00 AM–9:05 AM – Brief introduction by Joseph Szesko, the Allen Chair Editor of the University of Richmond Law Review. 9:05 AM–9:15 AM – Welcome Remarks by Wendy Perdue, the Dean of the University of Richmond, School of Law and Dr. Ronald Crutcher, President of the University of Richmond. 9:15 AM–10:00 AM – Keynote Speech by U.S. Department of Education Assistant Secretary for Civil Rights, Catherine Lhamon. Click here to download relevant MCLE materials for this portion of the event. 10:00 AM–11:10 AM – State-Level School Finance Panel featuring Kimberly Robinson, David Hinojosa, and Molly Hunter. Click to download relevant MCLE materials for this portion of the event: Part 1 & Part 2. Opening remarks powerpoint from David Hinojosa: Download powerpoint. 11:10 AM–12:20 PM – Innovation in Addressing School Inequality Panel featuring Lisa Scruggs, Javaid Siddiqi, and Jerusha Conner. 1:20 PM–2:30 PM – School Discipline Panel featuring Jason Nance, Marilyn Armour, Pamela Meanes, and Meredith Harbach. 2:30 PM–3:30 PM – Debate on what role the federal government should hold in the governance of public education. Preston Green III will be arguing in favor of the federal government having an increased role; Gerard Robinson will be arguing against it. 3:30 PM–5:00 PM – Conclusion of the Symposium and Reception in the Atrium with food and beverages. State-Level School Finance Panel member Kimberly Robinson will also be introducing her new book, The Enduring Legacy of Rodriguez: Creating New Pathways for Equal Educational Opportunity.